Somehow reminds me of the new Honda CRV. I am sure it is going to be an easy swap. The only problem is that Toyota would want an arm and a leg for the swap. Well, i just got a tentative quote of INR 23,000/- for the same I have told them to re-work. If not then the aftermarket option looks much more viable. Almost exactly the figure I had in my mind. I was expecting 20K plus (for a pair). 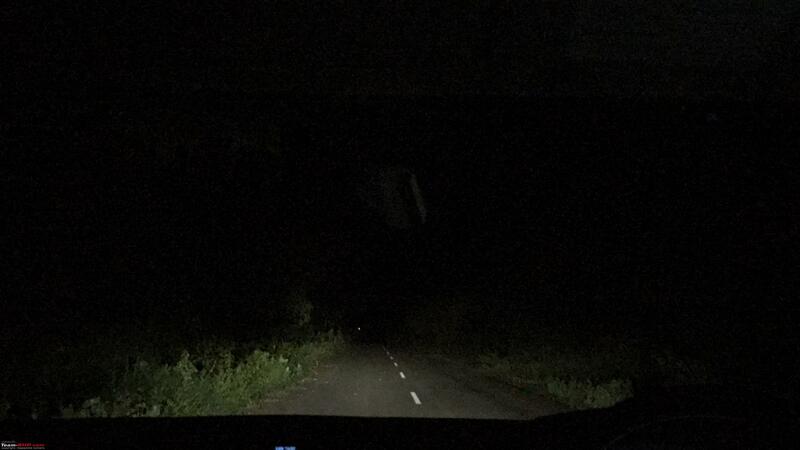 This is considering the regular halogen Koito fog lamp units which cost 10k for a set. I got a call from the dealership which is 70 Kms from my place to send the vehicle after 5 PM as the technicians will be testing the lighting of a few new Fortuner's and send a report to Toyota. 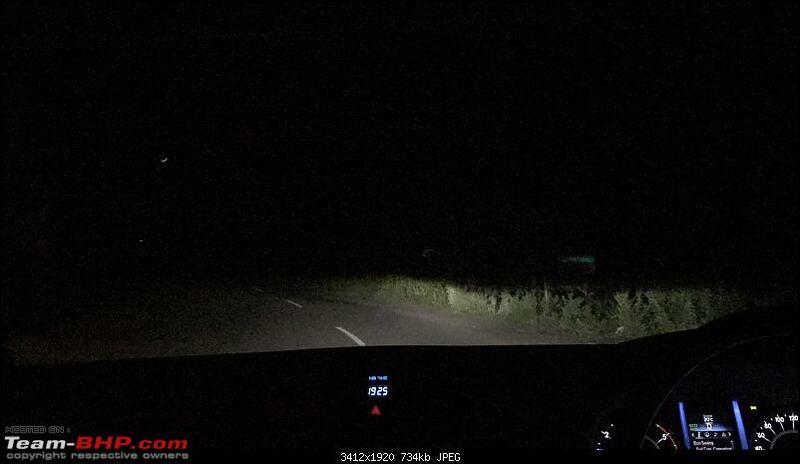 Did Toyota get back to you regarding the headlight complaint? 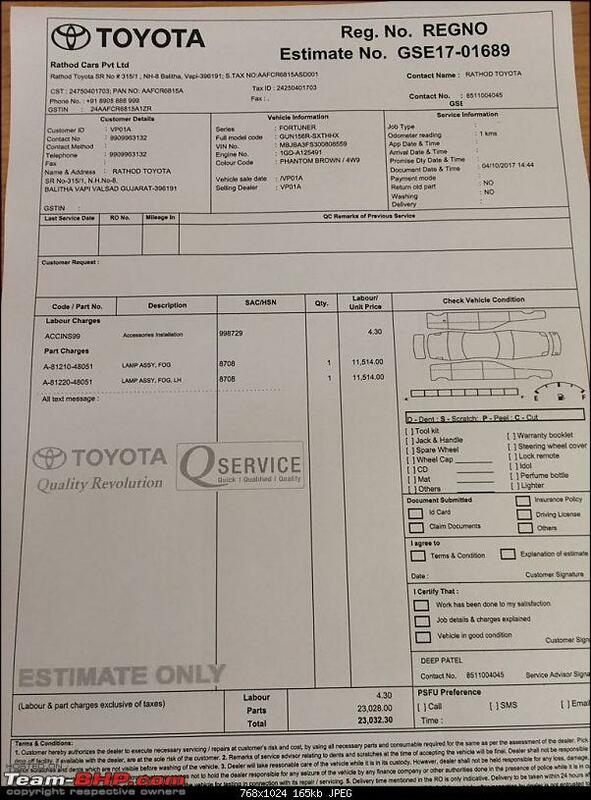 Bro i have complained with the dealership only and according to them they have forwarded the complaint to Toyota, and as per the instruction from Toyota they have taken certain tests and sent the details and they are yet to revert back regarding the head light issue. 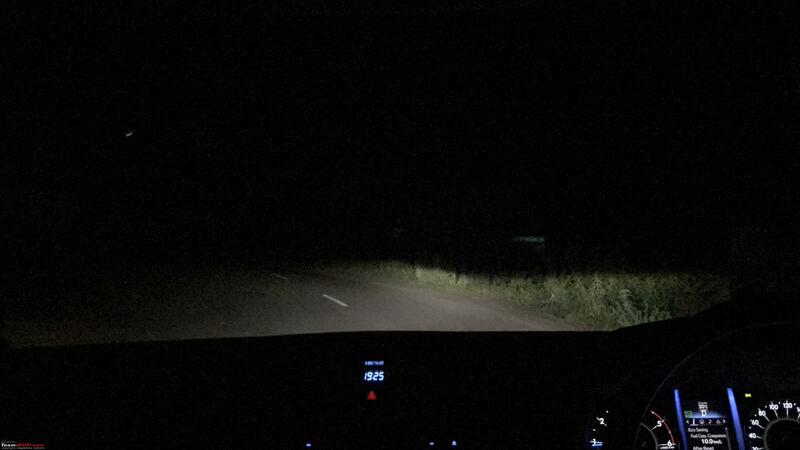 The dealership people are accepting that almost all of their clients are complaining about the lighting and a few have put LIGHT FORCE fog lamps to compensate the inadequate lighting. 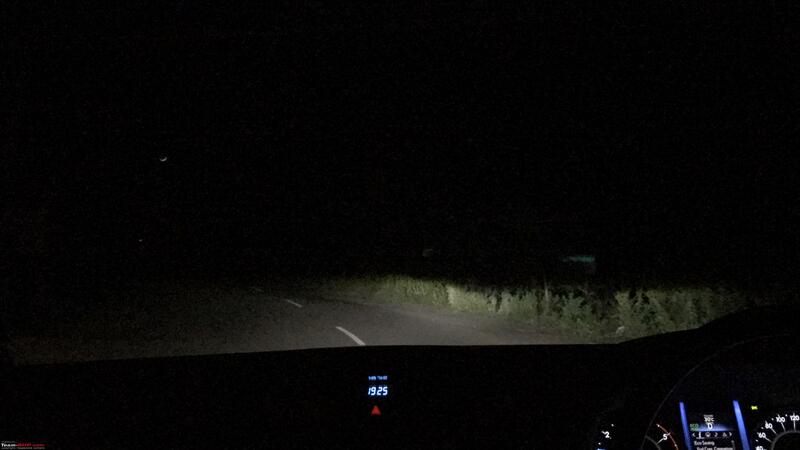 The problem is people complaining about the lighting are not taking forward the complaint to Toyota directly to make them realise the exact problem. 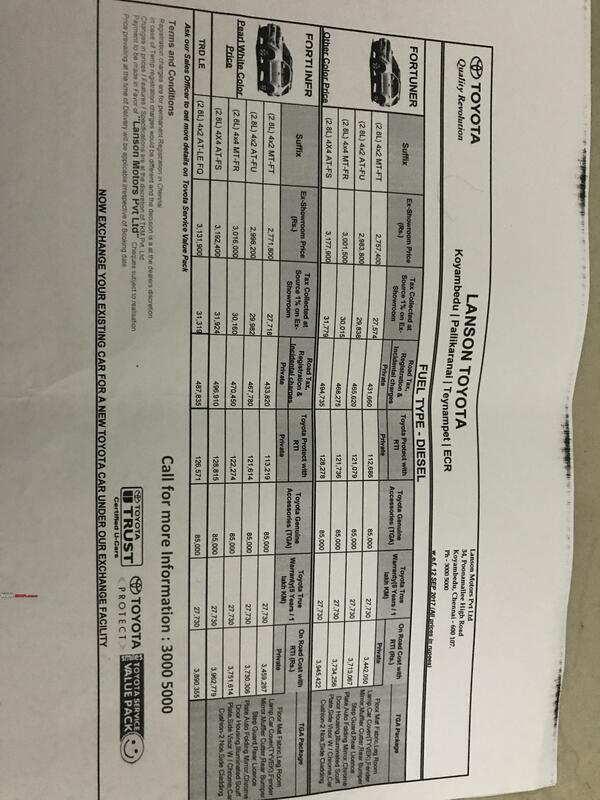 My friend has sent more than 20 mails to the Toyota customer service directly but he gets a call from the customer care Just reading his mail and saying they will revert back shortly and he gets a call from the dealer and no one from Toyota has directly talked to him regarding this issue. 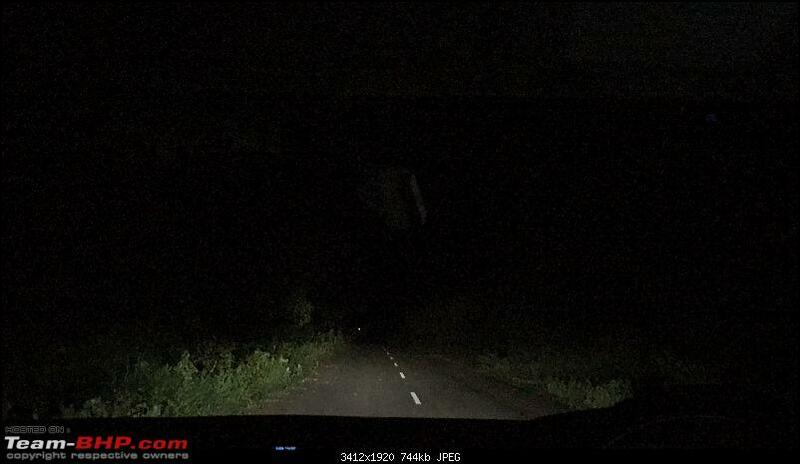 I have already contacted few of the New fortuner owners who are not satisfied with the Headlight and they too are not happy with Toyota's way of dealing this issue. 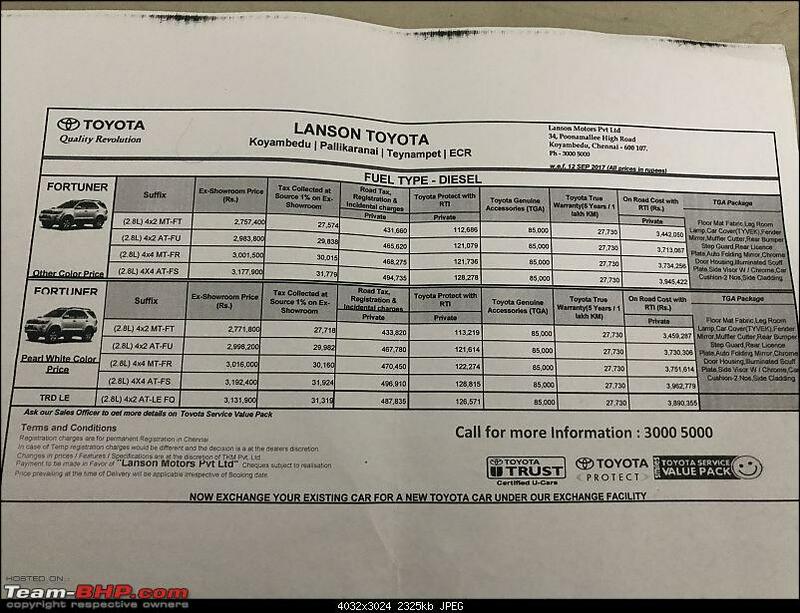 Hope Toyota pays attention to this issue before damage is done permenantly on its image that they are no less than other manufacturers in attending to customer concerns. Any ideas on how to get the doors unlocked automatically on switching off the engine. Everytime I have to tell my driver to unlock the doors. 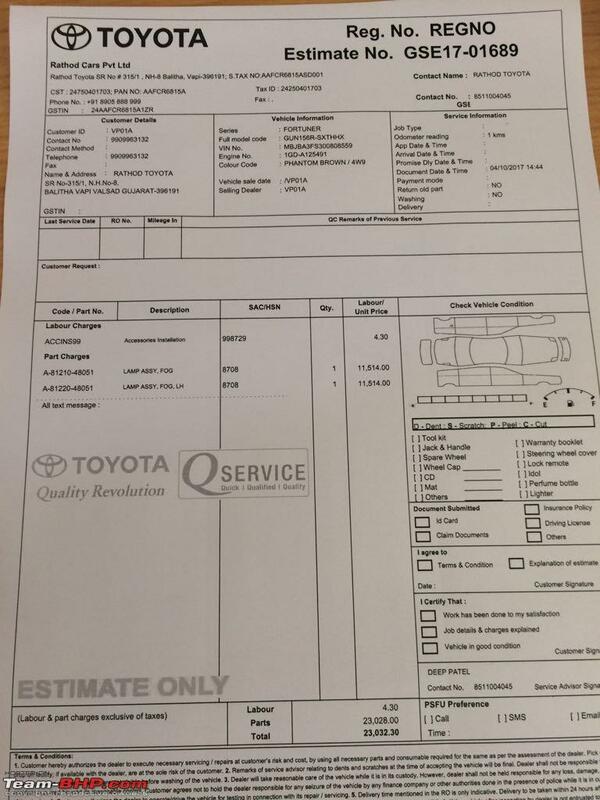 I have asked Toyota service centre but they could not be of any help. I would like to change the stock horns with Stebel TM80/2 Magnum 12V (<12 amp). 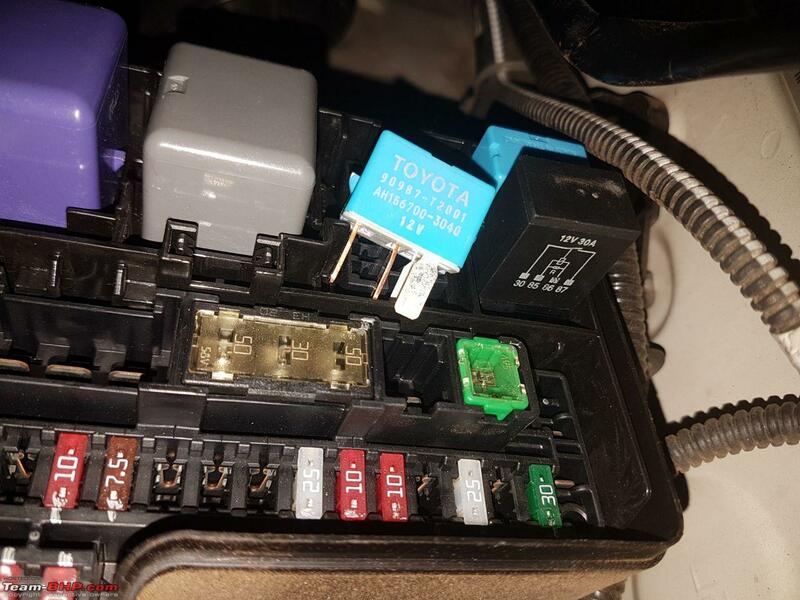 The stock horns relay is Toyota Part#90987-T2001, AH156700-3040 12V, Denso Japan. My question is if this stock Denso relay will be able to handle 20 amp current? The relay which came with stebel horn is bigger than the stock Denso one and can't be installed in fuse box. Last edited by DwarkaDelhiWala : 24th September 2017 at 09:38. This is the same horn relay which is there in the Crysta, i was not able to find its rating. I have replaced the stock relay with a Bosch one with similar pin layout and it just plugs into the fusebox. Bosch I got was 30amps (lower was not available) and is slightly taller than OE denso but fits fine under the lid. You may need replacing the fuse also based on stebel's total draw. Stock horn is rated 3amps each. The fuse is 10amps iirc. I think stock relay might be similarly rated. Last edited by Sankar : 24th September 2017 at 10:04. May be yes, but these LED lights are better than yellow ones. Now fortuner front lighting is all white, looks cool and much brighter. I bought them from Xtreme car decors in vizag. He gave me for a very good price. I have them fitted there itself, it is very simple, just removed two screws at the wheel arches on either side and fitted them, it's simple plug and play, didn't change anything else. 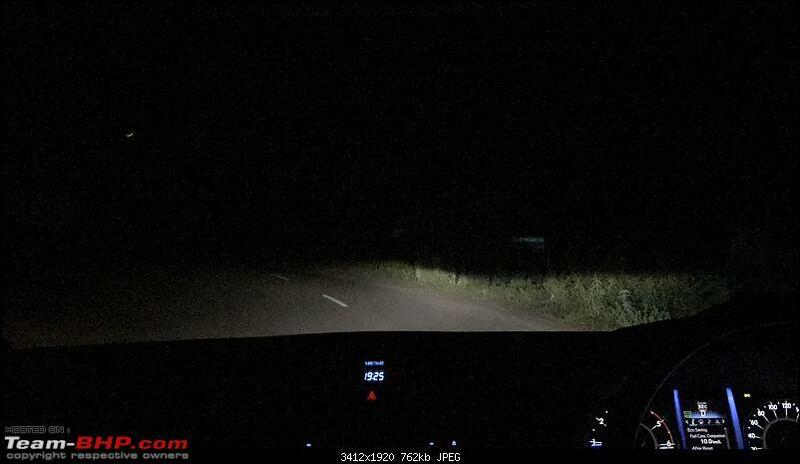 Please look into the photos this is the throw we get in a road and particularly at a turning first two images low beam. Pricey! But price is in the region as estimated. How is the illumination compared to previous halogens?